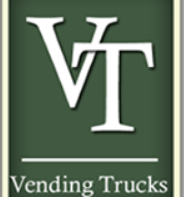 Description: With over 20 years of experience, Vending Trucks is a truck, trailer, and step van fabrication company that specializes in the design of food/catering vehicles, concession trucks, and promotional vehicles. Based in New Jersey, we try to provide our customers with the highest quality, durability, and innovative food equipment all at competitor prices. We sell both fully customized new and used vehicles to purchase, with options like custom vinyl wrapping (our specialty) to get your brand on there. Our vehicles are available for rent to corporations and marketing agencies, outfitted with equipment and decked out for their promotional needs. High resolution graphics in our vinyl wrap will get your food and brand noticed by everyone, and let you fully engage your customers, which is our goal. Past Customers: Poseidon’s Kitchen, Bodega Taco Bar, I Don’t Give a Fork! Customer Reviews: None yet. Contact us to leave feedback about this business.